1. Involve the right people from the start…. When you organise a corporate event you of course want everyone to turn up and have a wonderful time, however you also need to ensure that they notice who threw the bash and why! There’s a fine line to tread between forcing your brand/message upon your guests in an overly sycophantic manner versus letting them leave with no idea about why you threw the event in the first place. Of course you want them to enjoy themselves but you also want to ensure they leave having received your message. A key part of striking this balance is making sure that the right people are involved in the event design and messaging right from the beginning. Leverage your internal brand, communications and HR teams to make sure the brief is on point right from the outset. This will result on a well thought through event that is entirely joined up and guarantees that the key messages are received and clear. 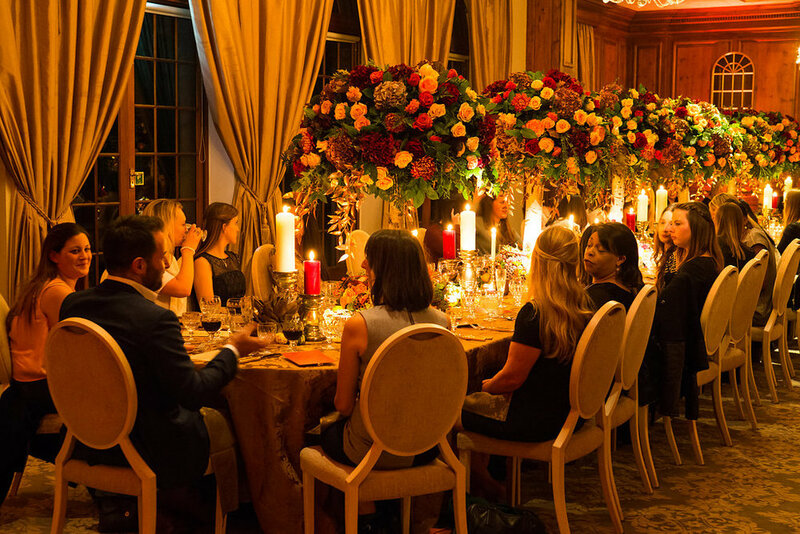 Example below: Hedsor Autumnal Corporate Supper Party. 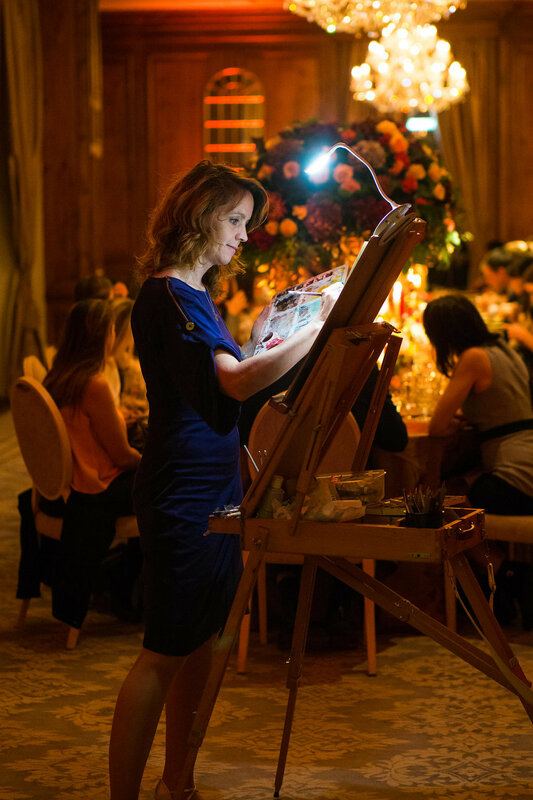 Incorporating your brand into your next event can be done in many ways. Perhaps the waiting staff could be wearing branded outfits? Should the event include a hashtag where all delegates use social media to share and collaborate content? Are there flags flying your brand as guests arrive onsite (see Tesla example below providing standout against their competition) or perhaps your logo could be projected onto the exterior of the house? 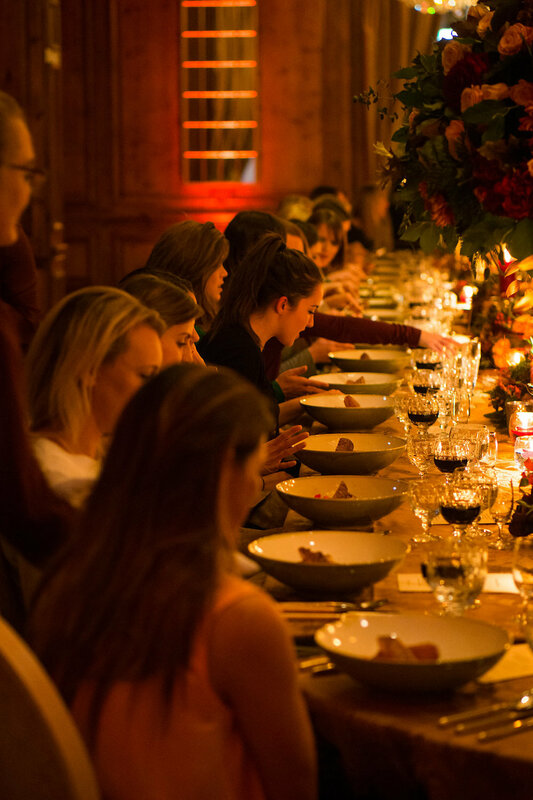 Incorporating your brand palette into the food for your event should be handled delicately. If your branding is black and red you probably don’t want to base your food on those colours. Serving the food on branded corporate trays instead is a much less intrusive way to showcase your brand. Also think about lighting to the interior and exterior of the house, linen colours and floristry which are all clever ways of incorporating your brand palette. Giving your guests a well packaged treat for when they leave is a great way to reinforce your brand not only on the day of your event but for days/ months after. 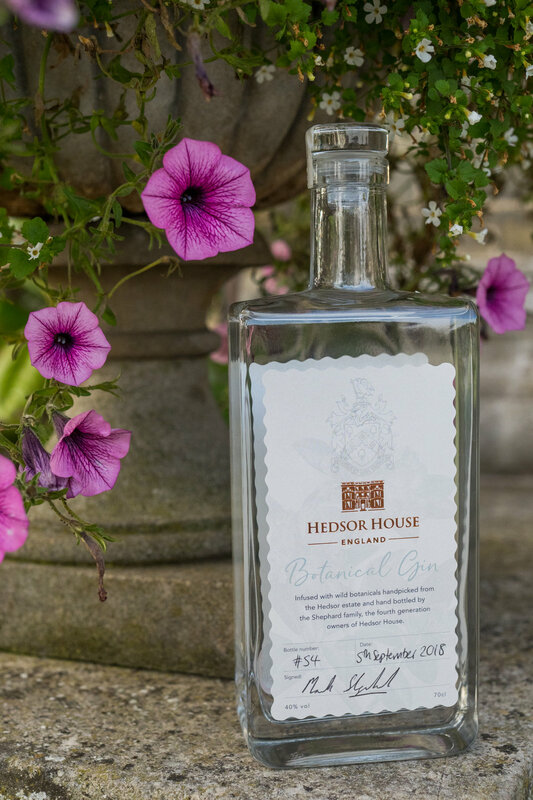 Hedsor House for example, occasionally gift Hedsor Botanical Gin as a VIP treat for at our Shephard family hosted events. 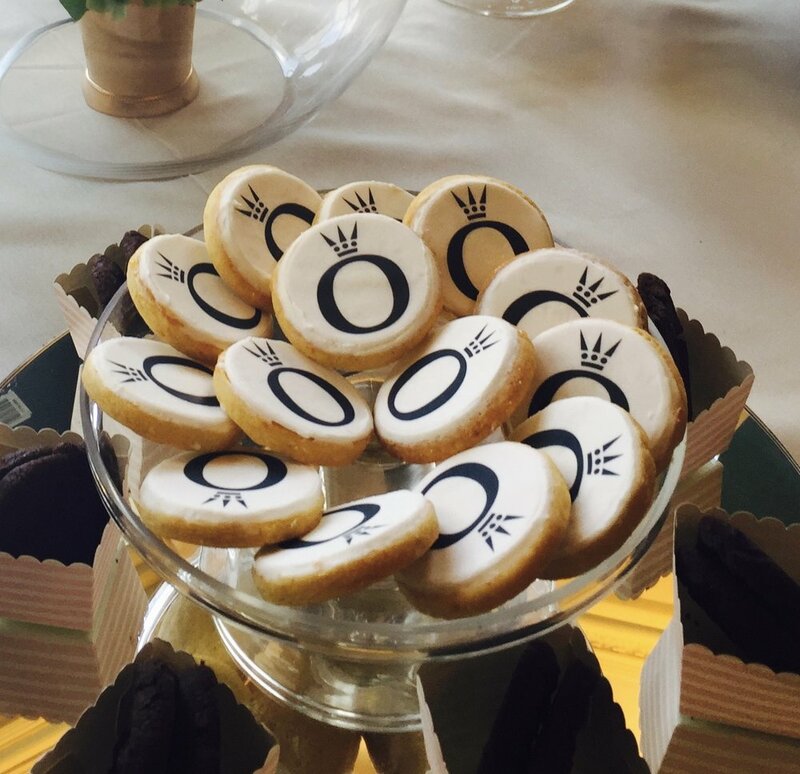 Branded cookies have also been incredibly popular (like the Pandora example featured above) and we’re also loving one portion cocktail bottles (also featured above) - delicious, on brand and most importantly…….recyclable! If you’re a health food company you probably don’t want to be serving alcohol or fried food. Fill your tables with fresh organic ferns and incorporate fresh, green menu items that reinforce your brand. 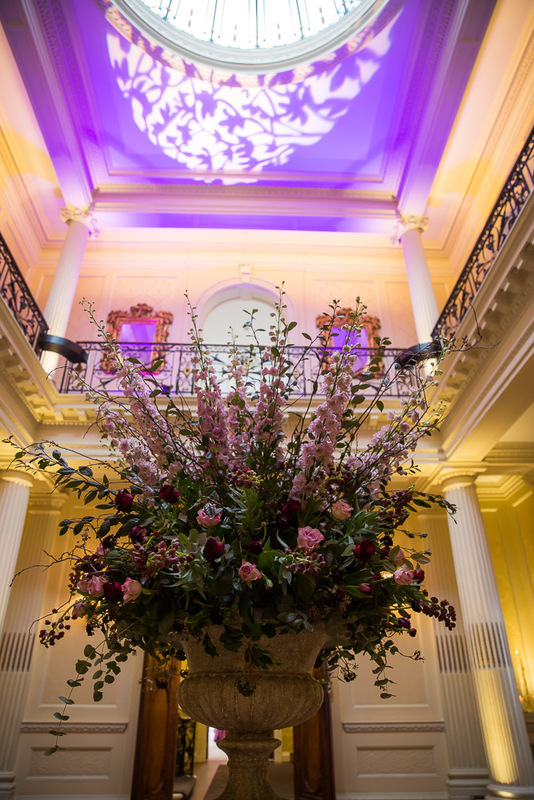 If you are ready to plan your next event, enquire directly through Hedsor via the button below or visit my website here.